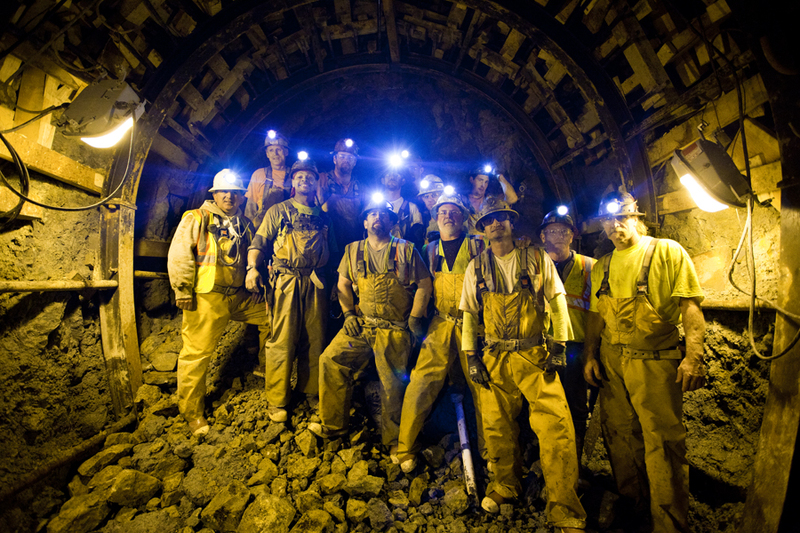 On Tuesday, June 12, two teams of miners met 420ft (128m) underground to complete the 4,500ft (1,371m) Irvington-Vargas segment of the New Irvington Tunnel, in Sunol, California.After 13 months of roadheader excavation from four separate tunnel headings, Southland/Tutor Perini JV’s crews from the Irvington Portal, in Fremont, and the Vargas Shaft shook hands under the mountainside and formally completed this section of tunnel excavation. The New Irvington Tunnel, a critical component of the Hetch Hetchy Regional Water System, will stretch 3.5-miles (5.6km) from the Sunol Valley to Fremont, California when it is complete. The new tunnel will provide an additional seismically-designed connection between water supplies from the Sierra Nevada Mountains and the Alameda Watershed to Bay Area water distribution systems. Not only does it provide a seismically-sound alternative to the existing tunnel, the new tunnel will allow the SFPUC to take the existing tunnel out of service for much needed maintenance and repair. 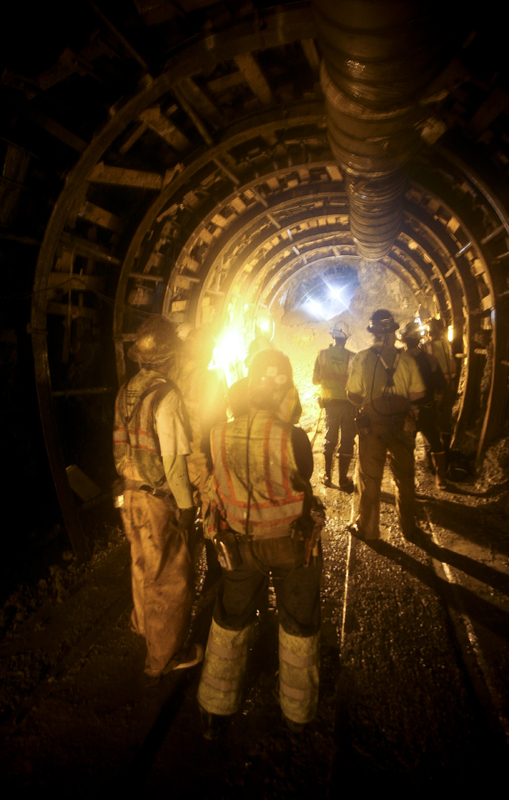 The tunnel is being excavated using conventional mining methods, including a 55t roadheader and controlled detonations in sections of hard rock. In May 2011, the roadheader was lowered down the 115ft (35m) Vargas Shaft and began to grind its way west. A month later, miners at the Irvington Portal in Fremont began tunneling east and set the two crews on a collision course. Prior to the hole-through, the crews stopped within 9ft (2.7m) of each other. The road header from Vargas then advanced until its spinning, titanium-studded knuckle broke through to the other side. Miners then made their way around their machines to shake hands and congratulate each other. Following today’s hole-through, miners will prepare the tunnel for the installation of 102in (2.6m) diameter steel pipe. The pipe, manufactured in California, is installed in 50ft (15.2m) sections and welded together inside of the tunnel. The much longer 14,400ft Alameda West-Vargas tunnel segment is currently being excavated and is expected to hole through in fall 2013. Construction of the entire project is scheduled for completion in fall 2014. The New Irvington Tunnel is part of the SFPUC’s $4.6 billion Water System Improvement Program (WSIP) to repair, replace, and seismically upgrade the Hetch Hetchy Water System’s aging pipelines, reservoirs, and dams.